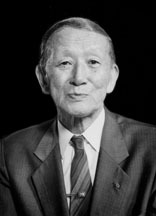 Dr. Suzuki, a Japanese violinist and humanitarian philosopher developed the Suzuki method. Dr. Suzuki believed that all children have the ability to play an instrument beautifully given the proper environment. Since 1979, the Burlington Suzuki Association has seen this theory proven over and over again. The Suzuki Method of Teaching is unique in four ways. One parent attends every lesson, takes notes and is actively involved with the practice sessions at home. The help, encouragement and love from a parent makes the learning process more effective and positive than if the child is left to practice alone. All children learn to speak their native language simply by hearing it spoken to them over and over again. This simple act of learning through repetitive listening has been applied to the Suzuki method of teaching. Each Suzuki Book has an accompanying CD or tape. Daily listening of these recordings helps develop a good musical ear, which in turn, simplifies the learning process of each piece. Reading is introduced when the child is technically ready and handles the instrument well. Group lessons are fun and provide your child with the opportunity to meet and socialize with other children in the program. Children learn aspects of theory and practice their skills together. In group lessons children are encouraged to play music together in preparation for future orchestra opportunities.